An important (if not the most important) aspect of running a successful fatherhood program is engaging participants. Whether it's existing clients or new clients, you need to meet them where they're at and engage with them beyond the doors of your center. That's where social media can play an important role in your success. And we're not just talking recruiting and retaining dads, but also delivering and reinforcing program content. But where should you begin? 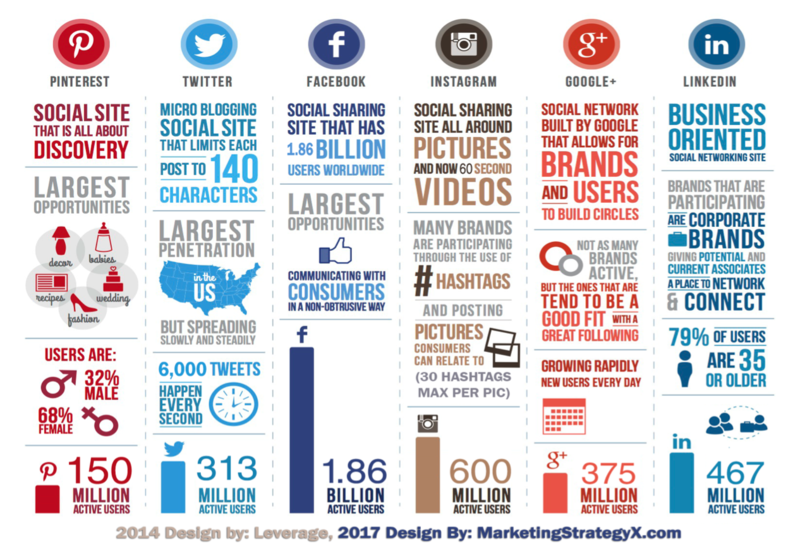 Which social media channel should you use? And who in your organization will do it? Recently I presented on this very subject during a session at the Biennial Healthy Marriage and Responsible Fatherhood (HMRF) Conference in D.C. along with NFI Board Member, Maggie Spain. I will share the 7 steps we covered in the presentation here. Step 1: Know your organizations's "WHY". Watch this 17 minute video from Simon Sinek's TED Talk on "Determining Your Organization's Why". Once you have determined a clear voice for your "why", you will be better equipped to move ahead with your social media strategy. Step 2: Figure out which social media sites your clients use (and your target clients), then focus on learning about and planning for that social media channel(s). You don't need to be on all of the social media sites! Check out this infographic about who's using which channels and for what. Step 3: Decide who will be in charge of the social media strategy for your organization. –Identify one person in your organization to manage social media. –Make sure account usernames and passwords are stored in a safe place. –Develop a social media cheat sheet. Helps connect organization’s voice to social media strategy. Outlines what is OK to post, requires approval to post and is never OK to post. Step 4: Educate yourself and create a social media strategy for your program (or organization). This might sound scary, complicated, or too time consuming - but it's a VERY important step. If you side step the strategy and planning stage, your success in the social media space could be slim. Educate yourself: here are two resources I recommend for learning about using social media, and for creating your social media strategy. Step 4a: Determine if a closed Facebook Group would (also or instead) suit your needs. –Allow programs to connect with participants via a digital platform they are already using. –Require admission (have your social media manager approve new members). –Encourage conversations and connections through the group. Educate yourself: Again, we turn to Hootsuite for their expertise on Facebook Groups. Checkout their article Facebook Groups 101: Everything You Need to Know to determine if a Facebook group is right for your needs. Step 5: Start posting on the social media site(s) of your choice. –Start small. Just 1-2 posts per week is just fine. –Use social media to supplement education you’re providing in your programs. Share ideas or topics that relate to what you are already covering. –Look for conversation starters. What are things that start conversations between you and your clients in person? Use some of those on social to do the same. –Ask your followers questions. Almost everyone likes to share their opinion, so ask away! –Be sure to use "Calls to Action": ASK your followers to DO something. Direct them to your website to fill out an interest form or to learn more about an upcoming event. You want them to take action! Post a quote or phrase that is thought-provoking and ask what it means to your followers. Share information on upcoming events or program sign-ups. Share funny or cute family-related videos or commercials to keep things light-hearted. Share pictures from events or recent "happenings”. Share short success stories or congrats moments with photos. Share simple "needs" that participants may have - allows the community to help each other. Short video clips you create. Step 6: Measure success, rinse and repeat. 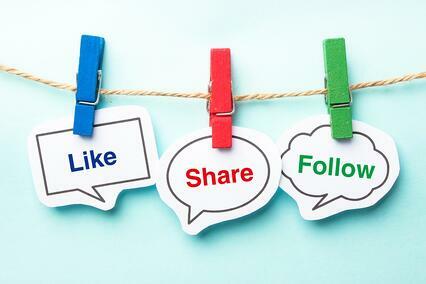 –Remember that engaged followers are more important than number of followers. –Track the number of visits to your program website or other relevant links shared via social. –Monitor the level of and watch for increasing participation in private Facebook groups. Educate yourself: checkout Social Media Examiner's article, 10 Metrics to Track for Social Media Success. Step 7: Learn about, test, and invest in Facebook Ads to recruit fathers and families into your programs. I will blog in depth about this step later this week—stay tuned! Do you have an idea of where you'd like to start with social media to enhance your program delivery? Already using social media to enhance your program delivery? Visit each of the steps above to see how you can improve.